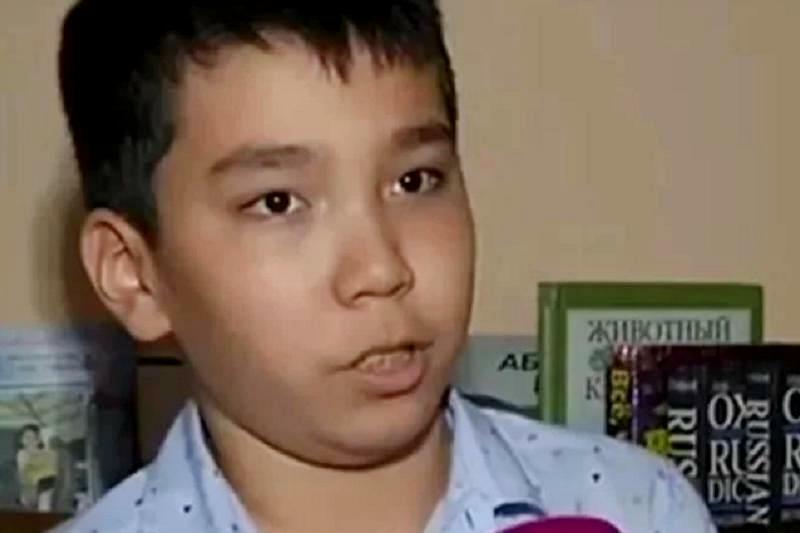 Abzal Myrzash, a 12-year-old wunderkind from Almaty city, is about to enter a local university while most of his peers will start sixth grade this fall, KAZINFORM reports. Abzal's parents noticed that their son was far from ordinary when he was a toddler. "He learnt letters at the age of 2 and started reading at 3. We've been very supportive and bought him books to read. He is very good at languages. He learned Russian in a matter of months. Abzal scored 117 points at the Unified National Testing and 5.5 at IELTS," his father told Kazinform reporter. Abzal's parents enrolled the little genius in Massachusetts Institute of Technology, but due to financial reasons were unable to move to the U.S. for the period of his studies. After Abzal successfully completed the early-exit high-school exam, he got accepted to the Suleyman Demirel University, the Kazakh Ablai Khan University of International Relations and World Languages, the Kazakh-British Technical University (KBTU) and the International University of Innovative Technologies. He picked KBTU.